So daring an d exotic are Erik Hazelhoff’s adventures and so strange are some of the coincidences, that if this were fiction, a reader might be excused for finding it “unrealistic.” Yet this is the story of a real Dutch citizen who believed all his life in challenging fate, forging ahead, doing what he had to do, and not looking back. 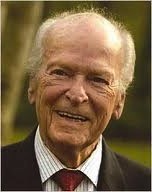 Unwilling to accept “impossibilities,” he constantly challenged the status quo, often in wildly heroic actions. Seemingly fearless, he learned from his earliest childhood in Dutch Java that Fear dwelt in a Black Cave, but “you must defy him, and a pebble in your mouth will protect you.” Hazelhoff spent his entire life with a pebble in his mouth, boldly marching past Black Caves which swallowed lesser men. 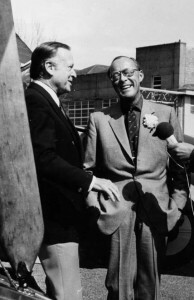 A consummate writer whose first article was published when he was only sixteen, Hazelhoff vividly, often humorously, and always candidly recreates his childhood in Java and his various lives as a ranch hand in Argentina, as a law student in Leiden, as a friend of Queen Wilhelmina during her World War II exile in England, and as a member of the Dutch underground during the German Occupation. Eventually, despite poor eyesight, he became a pilot for the RAF, making many bombing runs over Germany as a Pathfinder pilot. 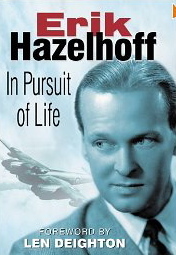 Throughout this exciting and beautifully written autobiography, Hazelhoff reveals his belief in core values. He defends his country, honors his word, shows genuine respect for those worthy of it, and refuses to take himself seriously. His autobiography reveals him to be one of the genuine heroes of the 20th century, though he would certainly have been embarrassed to be considered one, and his notes on his late years, in which he contemplates his own death, are both poignant and memorable for his revelations of what he has learned and the manner in which he would one day face the Black Cave himself. This is a book which has something for everyone, containing personal insights on history, observations about society, and revelations of the personal philosophy which has allowed him to become, over the course of eighty-plus years, an inspiration to men and women of all cultures and all ages. This beautifully written autobiography by one of the great, unpublicized heroes of the twentieth century will make you proud to be a member of the human race. Also reviewed here: SOLDIER OF ORANGE, the story of Hazelhoff’s war-time exploits.